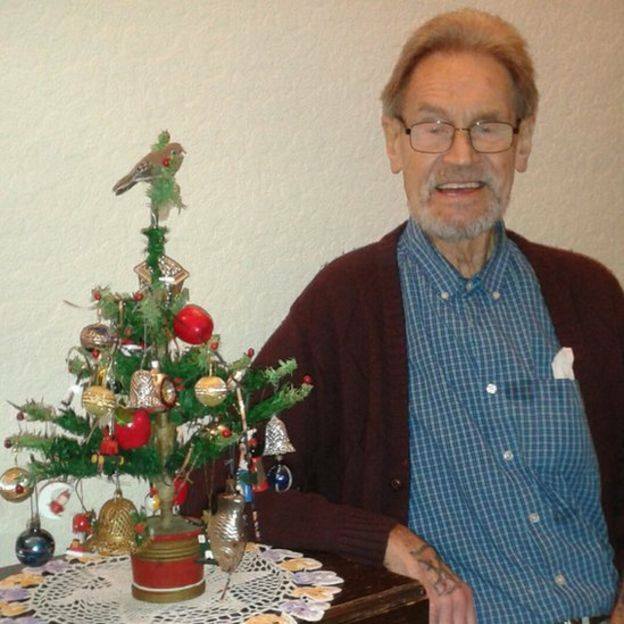 92 year old Derek Stanton has been putting up this little Christmas tree for a long, long time. He has told his three daughters they must never get rid of it. Derek’s parents bought the tree from the Woolworths store in Ilkeston. It was one of the first mass produced trees of its type. The tree has had a few repairs in recent years (branches coming off and put back on with Sellotape) but it still has pride of place in the Ilkeston home.